Better late than sorry, so here we are, our weekly dose of startupland that comes out on Thursday lol. So plenty of stuff to go around. Last week I was in London with the Wayra UK team and their startups. Not sure if they'll survive Telefonica's axe, but they're definitely doing one hell of a job! Some very interesting startups there. But back to our geography. Some cool things happening soon. First of all, the Spanish Startup Manifesto is out (disclosure: I was part of the advisory board)! Yay! Congrats to Carmen and the team for a great job. While we all know that manifestos don't change our politicians, it's a great starting point. A lot of research and talks have been pour into it, so let's all expand on it and use it to make things better. 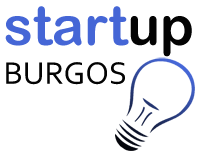 Please if you do care about our startup community, do sign and share! Also in Madrid, Conector is opening shop, and it will be managed by a good friend of ours, Bernardo Martinez, former CEO of Cazaworld. This edition will be focused on gaming so excited to see how it evolves. Welcome Bernardo! Meanwhile in Barcelona, the guys from Talent Garden (TAG) are about to open shop there. They're one of the most extended coworking network with focus on digital and tech in Europe. Highly international, it's a great addition to Barcelona's ecosystem. Check theirpicture gallery because the place looks amazing indeed. Another great opportunity comes from my friends from Finnovista, the producers of Open Bank, one of the best FinTech conferences out there. They're looking for a management position within their growing organization. I love the work these guys have been doing so check them out. In terms of activity, we've had some great weeks in Spain. In less than a month we've seen four acquisitions of Spanish startups: Geeksphone joint venture with Silent Circle,Bodas.net, Ad4Kids and just announced Amovens. And surprisingly, two Spanish startups also getting into the freenzie by acquiring others,Percentil buying Kirondo (DE) and Softonic bought AppCrawlr (US). Some news from around. Let's start with the Wayra debacle and how many good guys are leaving (or being force to leave) the boat, being Simon Devonshire the last one. On the educational side, some very interesting stats of Coursers AI planning MOOC, including all kinds of fascinating data. And last but not least, a cautionary tale from the leaving Google CFO on what matters in life. Hired gets you 5+ job offers in 1 week, each disclosing compensation, equity, and role upfront. Take a job on Hired and receive a $2,000 signing bonus. Startup Digest subscribers will receive a double signing bonus of $4,000 by using this link. Intersection between coding, design and art. Build a prototype whose lines and output are easily remembered and entertaining. #hackOnBusiness, a HACKATHON for programmers, designers and entrepreneurs. You can see in this video how was the first #hackOnBusiness. The second #hackOnBusiness is Co-organized with Babson College (Boston), a university internationally recognized for innovation and entrepreneurship. 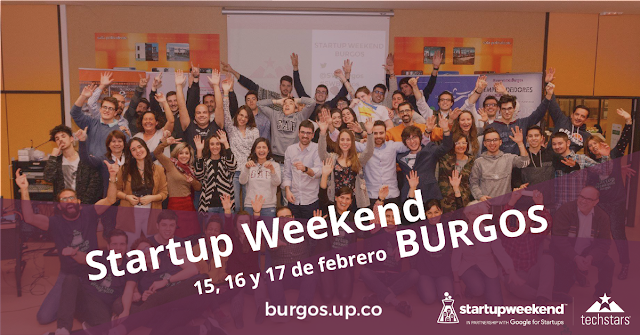 3 day events by UCM around startups and entrepreneurs. Destinia, La Nevera Roja, Otogami and more will be speaking during the event.